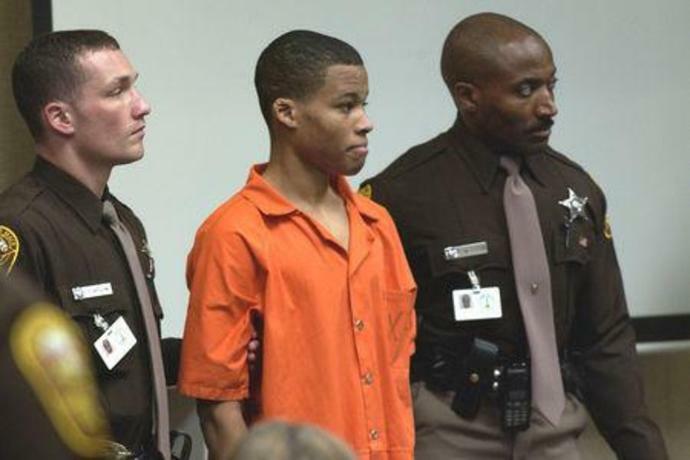 The nine justices will hear an appeal filed by the state of Virginia objecting to a lower court's decision ordering that Lee Boyd Malvo's sentence of life in prison without parole in the so-called D.C. Sniper crimes be thrown out. If Malvo wins, he and other prison inmates in similar cases involving certain crimes committed by minors could receive more lenient sentences. The appeals court called these crimes "the most heinous, random acts of premeditated violence conceivable." Malvo and Muhammad were arrested when police found them sleeping at a Maryland rest area in a Chevrolet Caprice after a frantic search over crimes that panicked the U.S. capital region. The appeal concerns the scope of a 2012 decision in which the Supreme Court ruled 5-4 that mandatory life sentences without parole in homicide cases involving juvenile killers violated the U.S. Constitution's ban on cruel and unusual punishment. In 2016, the court decided that the 2012 ruling applied retroactively, enabling people imprisoned years ago to argue for their release. Malvo's appeal concerns whether the earlier rulings do not apply only to people facing automatic life without parole sentences but also to instances in which a judge had discretion over what sentence to impose. Courts across the United States are divided on that question. The justice who cast the pivotal vote in the 2012 case, Anthony Kennedy, retired last year. His replacement, President Donald Trump's conservative appointee Brett Kavanaugh, could have an important role in the eventual ruling. Malvo's Maryland sentence would not be directly affected by the outcome in the Virginia dispute.